Yay, it's party time again. Since I can't do anything fun outside at least I have this party to look forward to. Thanks to everyone who took the time to join last week. There was lots of inspiration last week so let's take a look at just a few. Erin of Just Grand shares her pretty guest room. I just love these beautiful twin beds and you really should check out the before. Shabby Love shared how she took her little boys nursery to a big boy room filled with vintage items. This cute mail center was created by copying the look of an Athropologie bowl. Find out how at The Coconut Head's Cancer Survival Guide. This looks like such a fun party idea shared by All Things Beautiful. 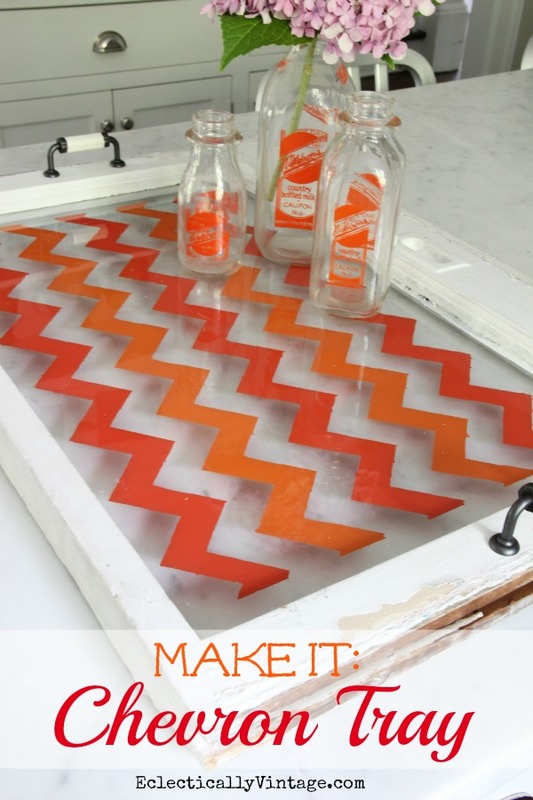 Find out how to make this cute chevron tray from an old window at Eclectically Vintage. Adding piping gives a professional finished look to upholstered chair seats. You can find an easy to follow tutorial at Confessions of a Serial Do-It-Yourselffer. 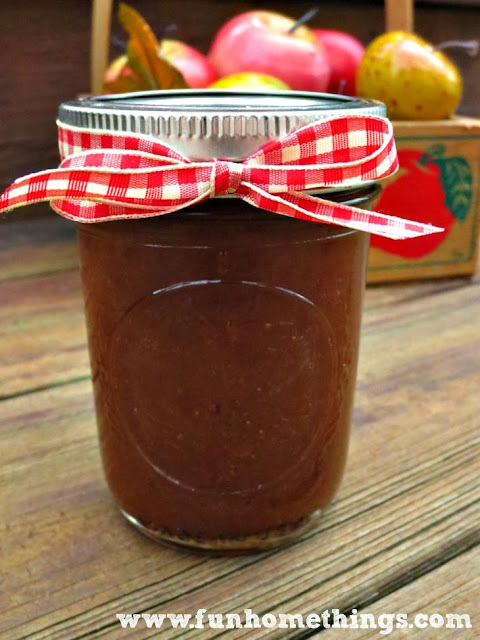 I love apple butter and Fun Home Things shares how to make it in a crock pot. I need to go get a new crock pot. This pretty way to serve up a fruit salad was shared by Echoes of Laughter. Now we all want to see what you will Wow Us With this week! Let's connect on FACEBOOK, Pinterest, and Instagram. Thanx for such a great party Kim! Always happy when I can join. Hope your week is going well! Always so many wonderful links at this party!...loved all of the ones you featured...Thanks for hosting!! As usual - fabulous features! Love that guest room! Thanks for sharing my chevron window tray (it was worth diving into my neighbors dumpster for it)! Thank for hosting Kim, and for stopping by! From those beautiful twin beds to the delicious fruit salad, amazing features! Thanks for having us. Always love to see what everyone is up to! Thanks for the party, Kim! Thanks so much for hosting - have to look at the features - they all look amazing! Loving all the inspiration. Thanks for hosting. Thanks as always for hosting this great party Kim! Thank you for hosting and for having me every week at your nice party. Kim thanks so much for hosting yet another awesome linky party! Have an awesome day! The guest room feature is delightful. Thank you for hosting. Kim, you selected some great features. There is a wealth of inspiration in this party. Thanks for hosting each week. Kim, thanks for hosting! Enjoy the rest of your week! I am on the go this evening!! Thanks so much for hosting WOW, Kim. As always lots of great inspiration. Great features as usual! 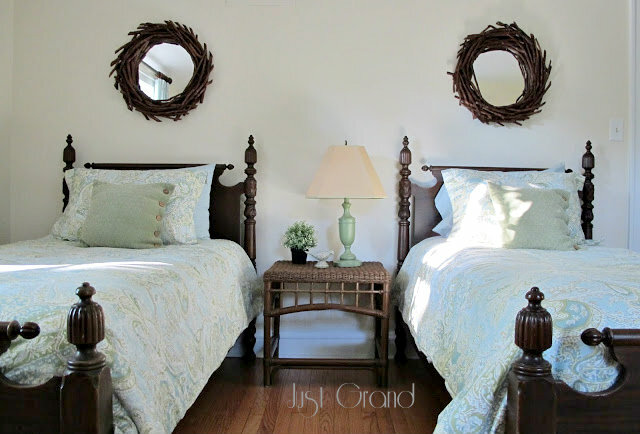 I LOVE the guest room with the twin beds and pretty wreaths! Great features....thanks for hosting the party!!!! Wishing the rain would go away soon. We finally got rid of ours a few weeks ago. A very different year that is for sure. Thanks for hosting! Love this week's features! Thank you once again for hosting, have a great week! Lovely features. Especially the big boy room and that chevron tray. Thanks for hosting. Thanks for hosting, Kim! Have a fabulous week! Thanks, Kim. Love the elegant simplicity of these posts! 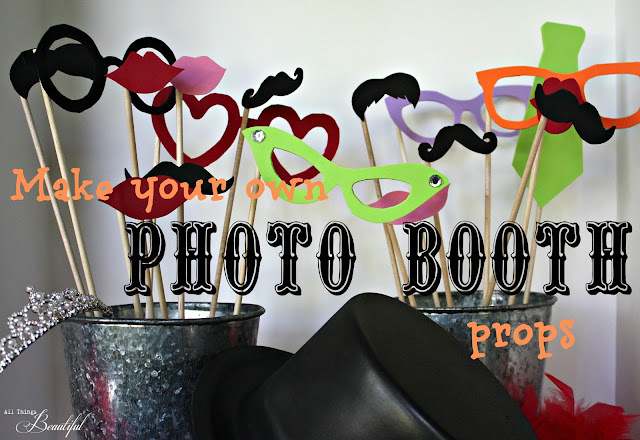 love the guest bedroom and the photobooth idea! Thanks for hosting Kim! Loving those twin beds...off to explore more before I head off to bed! Thank you so much for hosting and letting me join your party. There's always so much inspiration and ingenuity out there! What a wonderful showcase of ideas. Thanks for hosting, Kim! Thank you so much for featuring my industrial bedroom!!!! I'm thrilled!!! Wonderful WOW's for sure! Thanks for hosting Kim! Kim, another beautiful party with great features! Thanks for hosting! Thanks for always hosting a great party Kim! The twin beds in the featured guest room are absolutely beautiful! Your site never allows me to link up. It always says I need to create a link. I have your button on my post but it doesn't work week after week. Sorry. Thank you for the opportunity to join the party, again this week and check out all the lovely links. I am always in awe of what people are able to create! Have a wonderful week! Thanks so much for the great party, Kim! Hope you have a wonderful week! It's always such a great turnout for your party Kim! Love it! Thank you for hosting!! Thanks so much for the party. Have a great rest of the week. 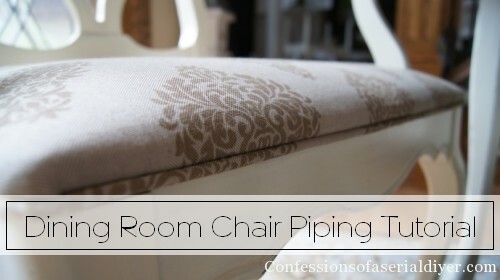 I am off to look at the piping tutorial, something I wondered about that might work for my next headboard too. Thank you for your weekly inspiration, today it's overflowing and I can see I will be spending some hours back in here tonight. Have a great the rest of the week. I hope you are having a great week, Kim! Thanks for hosting! As usual, it looks like there are a lot of great ideas. Geez, I can't believe how much rain you are getting, so sorry!!!! I am savoring the last of summer now, it has returned with HOT and HUMID. Thanks so much for hosting, great features. Thanks so much for hosting again this week. I see you are on Twitter now, so I am going to run over and follow you. I hate Twitter myself, but I really should learn how to use it better. Thanks for a great party Kim! !